Selma Maric received her PhD in biophysics 2014 at the Niels Bohr Institute, University of Copenhagen. The title of her thesis was “Development of a Stealth Carrier-System for SANS Studies of Membrane Proteins”. Since then she held post-doc positions at the Karolinska Institute and at present at Malmö University. 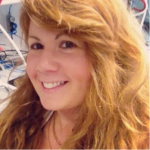 Selma has contributed with pioneering work on selective isotope labelling of natural lipids enabling new knowledge on structure and dynamics of lipid containing systems. The developed methodology is particularly relevant in light of the increasing use of neutron-based methods in lipid research and the location of the European Spallation Source in southern Sweden. 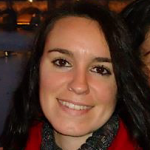 Alicia Gil Ramírez completed her PhD thesis in Biology and Food Science 2015 at Autonomous University of Madrid (UAM). Her PhD thesis dealt with extraction of hypocholesterolemic compounds from edible mushrooms. In 2017 she got a Marie Sklodowska-Curie Individual Fellowships (MSCA-IF-2016) at Lund University to develop a novel approach for delipidation of soft tissue using Supercritical carbon dioxide in order to suppress the major cause of rejection associated with tissue transplantation.